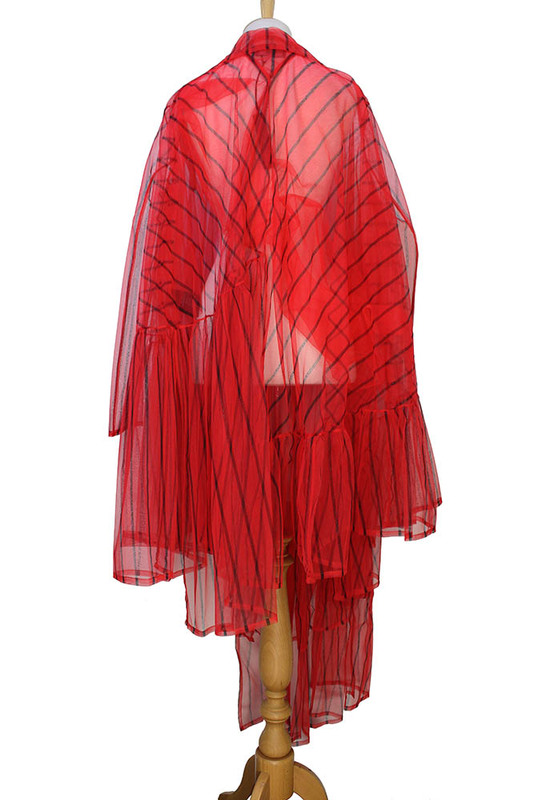 Barbara Bologna one-size, red and black stripe TT Coat. Wide, multi-frilled. Large notched lapels and 2 button fastening, the buttons are round leather and are fastened with cut shoe lace. 2 pockets and a false chest pocket with looped tab decoration. Additional frill panel at right hem, making the right side longer. Stunning piece and again unique, nothing quite like it!